For many people, WhatsApp has become a very important mode of communication. People use WhatsApp for both formal and informal communication. Millions of people across the world use WhatsApp for chatting with their friends, family members, relatives, peers, clients, etc. But, if you are found misusing the platform, you’ll end up getting a ban or suspension from WhatsApp. As per WhatsApp’s terms and conditions, it retains all rights to block or ban your account without any prior information or notice. So, if you violate their terms of service in any means, you may get banned from using the service without any notice. If you send any illegal, offensive, harassing, threatening, malicious, or messages, WhatsApp can ban you as per their terms and conditions. Sending messages that promote illegal activities will definitely get you banned on WhatsApp. WhatsApp can ban you if you are using the platform for impersonating someone. If you spam someone’s account with any kind of auto-messaging, bulk messaging, or auto-dialing, WhatsApp may ban you! It is also against WhatsApp’s terms and conditions. Never try to play or have fun with WhatsApp app’s code. It is against their terms and conditions. 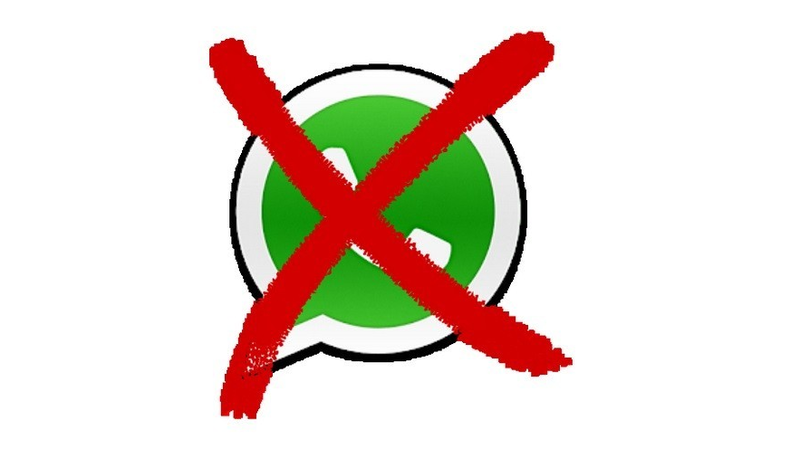 Never try to modify, alter, or reverse engineer WhatsApp app’s code if you don’t want a ban! WhatsApp strictly prevents users from sending malware or viruses through its platform. You may lose your account if you try to hack any WhatsApp server in any means. Also, collecting information about other users’ account illegally will lead you to a ban. If you are using WhatsApp Plus or any modded version of WhatsApp, it may ban you from using its platform. According to WhatsApp, they have never developed an application called “WhatsApp Plus”. Also, they have not authorized any such applications. They do not support WhatsApp Plus and its developers. If you are using WhatsApp Plus, WhatsApp cannot promise for your data and privacy as it may be sent to 3rd parties without your consent or authorization. WhatsApp also bans your account if many users block you. It means, if many users block you in a very short span of time, WhatsApp may consider banning your account. WhatsApp provides an option to report a contact or group from its profile information. If WhatsApp verifies the complaint to be legitimate, it may ban your account.